Perth is a great city to find Bulletproof Coffee cafes in, you just have to know where to look. We found Bulletproof Coffee at four Perth Cafes in Subiaco, Scarborough, Como, Mt Lawley and Armadale. If you’re in Sydney, see our list of 10 Bulletproof coffee shops in Sydney to find it there! 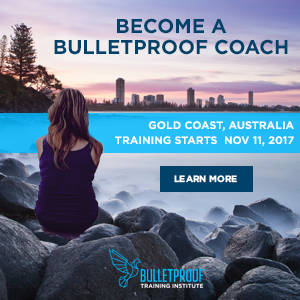 And if you’re in Brisbane, we have a Bulletproof guide for you too! These Bulletproof coffee shops each serve either the original or a custom recipe of Bulletproof coffee. You’ll find grass-fed butter, coconut oil, MCT oil, add-ons (if you ask) and even Brain Octane oil throughout these locations. This is a handy list to have, especially when you’re on the go. And going to one of these cafes is a great way to introduce your friends to that weird “butter coffee” thing you’re always telling them about! This one makes a blend called, “Coconut Paleo Latte.” They don’t make Bulletproof coffee directly, but you can add coconut milk and/or butter to any coffee here–so you’ll be getting a makeshift version of your butter coffee when you go here. You can also try their new Protein Coffee, made with full cream, high-protein A2 Guernsey milk and almost 10g protein per coffee. All of their food options are Paleo-aligned. And the second you check out their menu, you’ll know exactly why they’re called “Health Freak Cafe.” Everything is gluten-free and sugar-free. They even have the macronutrient breakdown and calorie count listed for each menu item. 6. Buy Bulletproof Coffee online. If all else fails and none of them have got the recipe just as you like it, then make your own! You can buy all of the ingredients on OptimOZ and you can find grass-fed butter locally in Australia in our guide. CNR Kitchen in Northbridge used to be the go-to cafe in Perth for Bulletproof coffee and all things paleo, but sadly, they have closed. Although there aren’t quite as many as Sydney, there’s still a strong Bulletproof Coffee presence in Perth if you know where to look! Did we miss anyone? 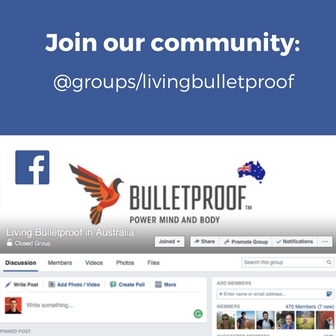 If your cafe in Perth serves Bulletproof Coffee, let us know and we’ll add you to the list! A few cafes have started to serve Bulletproof Coffee in Perth. You'll find many types butter coffee in Subiaco, Armadale, Como, Mt Lawley and Scarborough. The Organic Circle no longer sells BulletProof coffee. I called them and they said they did and I drove 25 minutes to be disappointed. I bought some of the coffee they do sell but I cannot say it’s as good. It tastes as good as BulletProof but didn’t leave me feeling the same way BulletProof does.